Ergonomic chairs – Not a lifestyle, but the necessity! Do you think ergonomics is a lifestyle? Not at all! It’s a necessity. In fact, the way of living! It’s more than just a fashion. In working conditions, the concept of ergonomics has been accepted widely across the world. This is because ergonomically designed chairs and other furniture have their own benefits over the normal ones. Many studies have shown that ergonomic chairs have improved effect on work efficiency. They have helped many working professionals to enhance their working conditions. Scientific research has proved that our inactive leisurely lifestyle has a poor effect on our bodies. Especially long sitting hours at one place cause several health-related issues such as obesity, cardiovascular diseases, diabetes, indigestion and metabolic syndromes. We all know that exercising is essential to keep our bodies healthy. But the bitter truth is that we sit for long hours in front of computers almost daily and this fact is not going to change any time soon. 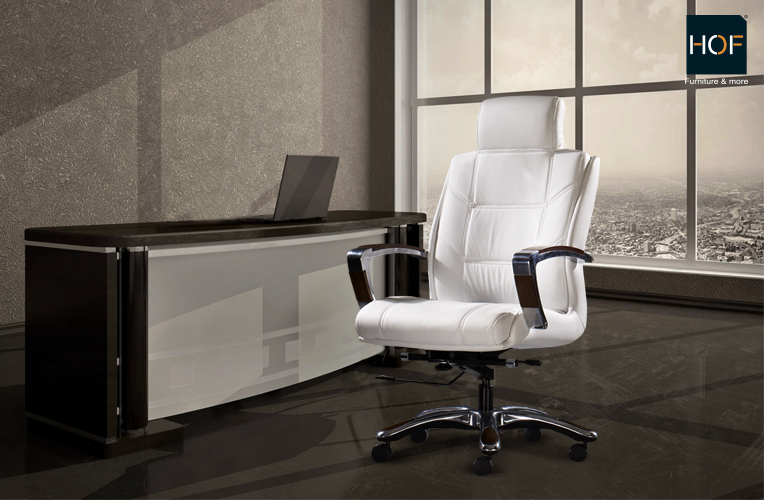 We, at HOF India, present an entire range of ergonomic chairs online that are designed to suit human body structure. We have a variety of health-positive chairs that have advanced ergonomics. While giving you the whole-day comfort, these ergonomic chairs also lower your stress. And in turn, they will help you focus on your work more precisely without getting distraction due to back pain or any other health problem. Their ergonomic design makes it possible for the chairs to adapt all your movements, adjusting automatically to your varying positions and keeping your spine naturally aligned. By stimulating blood and oxygen flow while you sit, our ergonomic chairs will keep you relaxed at the same time. You will be more work-efficient and relaxed which means you will have more creative and innovative ideas. Have a look at such excellent health-positive ergonomic chairs online and buy yourself one!